The crawl spaces in your home’s attic, basement and structural cavities provide access to mechanical, electrical and plumbing equipment and fixtures. If not properly constructed and maintained, they also provide opportunities for wasted heating and cooling energy, insect or rodent infestation and hazardous mold growth. If you are experiencing an issue with your crawl space call Abbotts immediately, and our experts will respond within 60 minutes. Building ventilation systems usually run through crawl spaces, so leaky ductwork, coupled with pest or mold infestation can result in air contaminated with rodent droppings, decaying food cached by pests and mold spores. Pests, and trapped water can damage vapor barriers, resulting in still worse damage like mold and rotten structural materials. And poorly insulated crawl spaces can spill expensive heat into the winter night. 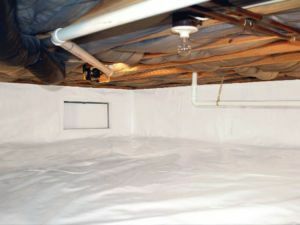 Fortunately, all of these potentially costly crawl space issues can be avoided. Vapor barriers are just what their name suggests: a barrier to keep moisture from entering your home’s crawl spaces. They keep water from diffusing through walls, floors and ceilings, protecting your property from potential damage and mold infestations. 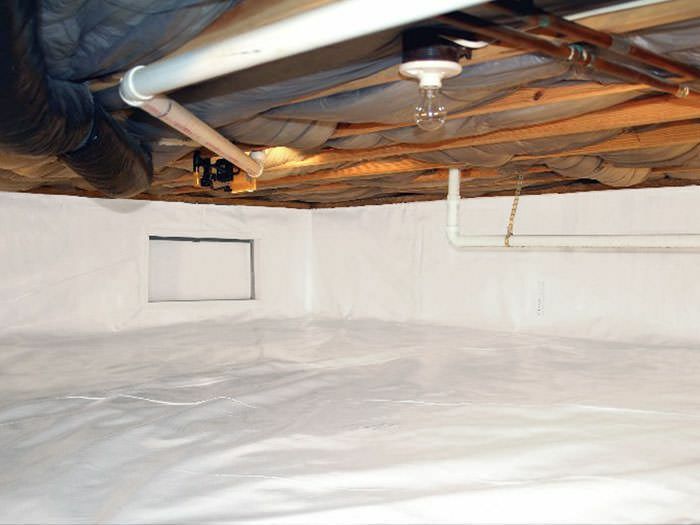 In addition to protecting your home from potentially damaging moisture, vapor barriers assist in maintaining desired indoor climates by reducing the humidity inside. 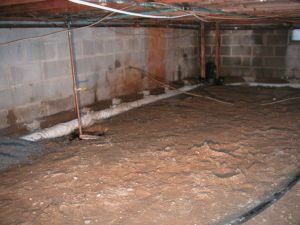 Crawl spaces are often dark, musty, unpleasant places. We get it. They’re gross. We don’t mind getting into the inner workings of your home or business, cleaning things up and making the building breathe, cycle air and expel excess moisture as it was designed to do. If you notice odd changes in indoor temperatures in your home or business, strange drafts, visible signs of moisture or animal infestation, or spikes in heating or cooling bills, call Abbotts for a free consultation and initial inspection. Call us anytime to speak to our knowledgeable staff about crawl space inspection, cleanup. Your dedicated Abbotts crawl space expert will help you keep your energy costs under control and breathe easier knowing your family, employees or customers won’t be exposed to harmful bacteria, spores and other allergens from poorly built or maintained crawl spaces.